You and your Jaguar have been invited to participate in this unique event. Hosted in the grounds of the superb Chateau Chantilly, the Arts & Elegance event is like a grand garden party surrounded by some of the best and beautiful cars in the world. As well as a “concourse d’Elegance” competition for modern supercars and a superb “concourse d’Etat” competition for classic cars from around the world, there is a car clubs “Grand Prix” competition with some of the best car clubs in Europe as part of the display. As the name suggests the “Art & Elegance” event is not all about cars. You will be able to tour the chateau that hosts paintings & art exhibits from some of the finest artists of the world. In addition other exhibitors specialising in creative sculpture & fashion shows will be on display. There will be workshops for flower arranging, make-up and hairdressing whilst Jazz bands & string quartets will add to the garden party atmosphere. Picnic baskets & other food outlets will be available to all car club attendees & a smart/casual dress code is adopted for the Sunday to fit in with the elegance theme. 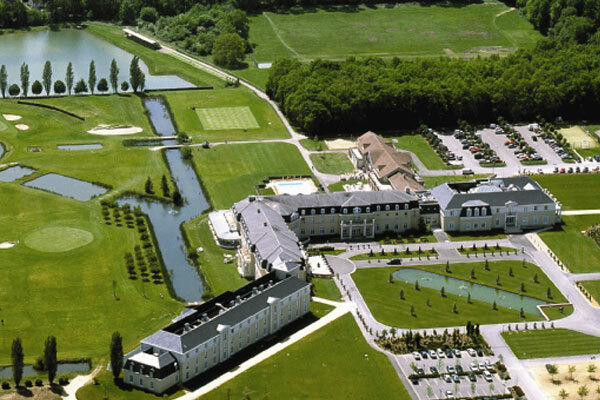 Located in the Chantilly forest, just a few minutes drive from the chateau itself is the 4 star Hotel Dolce Chantilly.